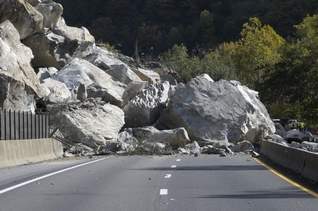 If it’s not a rockslide, it’s a landslide causing havoc for driving in and around the Smokies. This time, it’s highway 441 in the park. That’s the OTHER main route. This is the drive from Gatlinburg to Cherokee. A landslide just past the NC/TN border has caused traffic to have to drive on just one lane. Just to give you an idea of where this is, Newfound Gap is on the NC/TN border, so this is close to Newfound Gap. Find more info on this particular landslide at the link below. Ghost Town in the Sky could be foreclosed on in June. It looks like Ghost Town in the Sky could be up for foreclosure in June. According to the article below, if additional funding is not found before then, foreclosure could take place. I would imagine this is a bad economy to be looking for funding in. This all boils down to a nearly $10 million dollar loan BB&T has with the park. They are giving the owners of Ghost Town until June to work something out, or be foreclosed on. The sad thing is, Ghost Town is one of the bigger tourist draws in Maggie Valley. About 200 people work at Ghost Town in the Sky, so this will surely be bad news for those folks. I hope, for the sake of Maggie Valley, that something can be worked out. If I get more information on this, I’ll post it. Snow is in the area, skiing is great on the slopes! There’s a photo from the webcam at Purchase Knob in the National Park. I love snow in the mountains. You can see the live view by clicking on my live webcams link above, or just click here… https://gosmoky.wordpress.com/smokies-webcams/ . This is a great time to visit the Smoky Mountains. Not only is it beautiful, but there are fewer crowds, and places to stay are much cheaper.